Bruges is the capital of the Dutch province in Belgium. The area itself is called West Flanders, and the main language spoken is Flemish - a dialect of Dutch. This city is located in the northwest corner of Belgium, about 2 hours away from Brussels. I was immediately brought back to Amsterdam when walking through the streets, since it is another canal-based city, commonly referred to as "The Venice of the North". 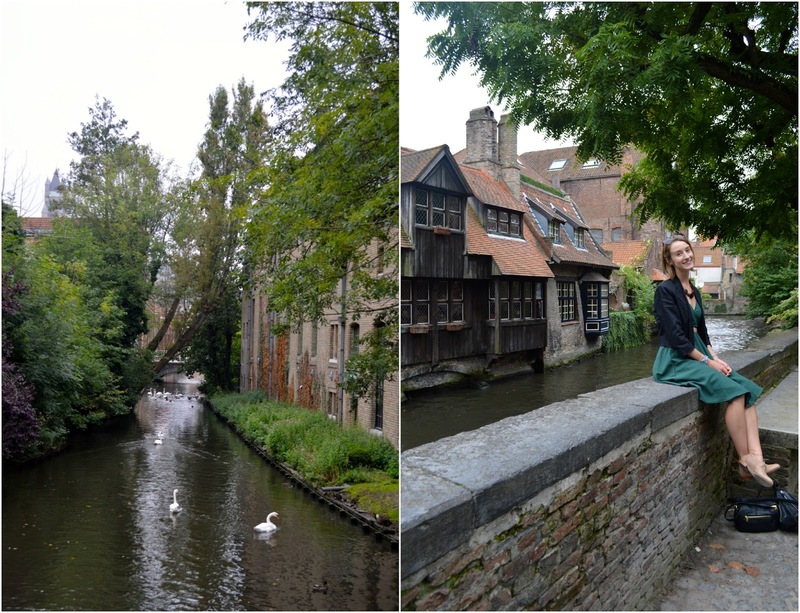 Bruges was historically one of the most important port cities thanks to its location, which is right on the coast. 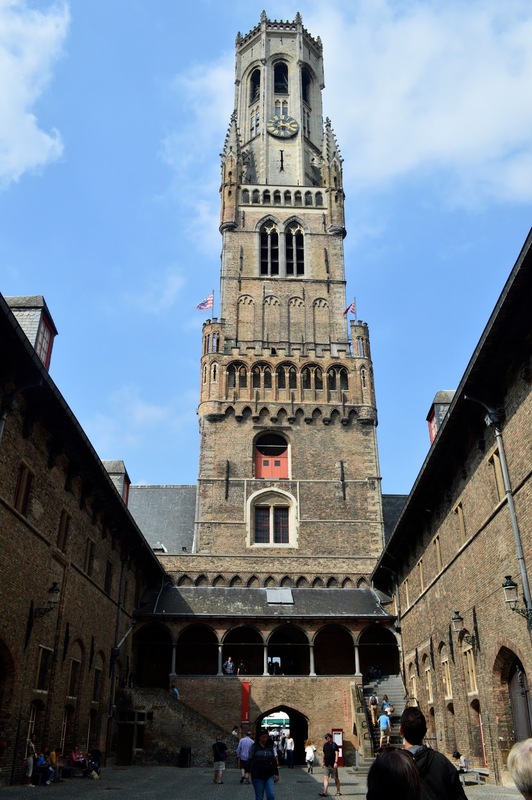 The first thing we did after arriving in Bruges was a walk up the Belfry tower. Despite the narrow spiral staircase, the 350 step climb wasn't bad at all and the view was well worth it. I couldn't leave Belgium without having a meal of Moules Frites. 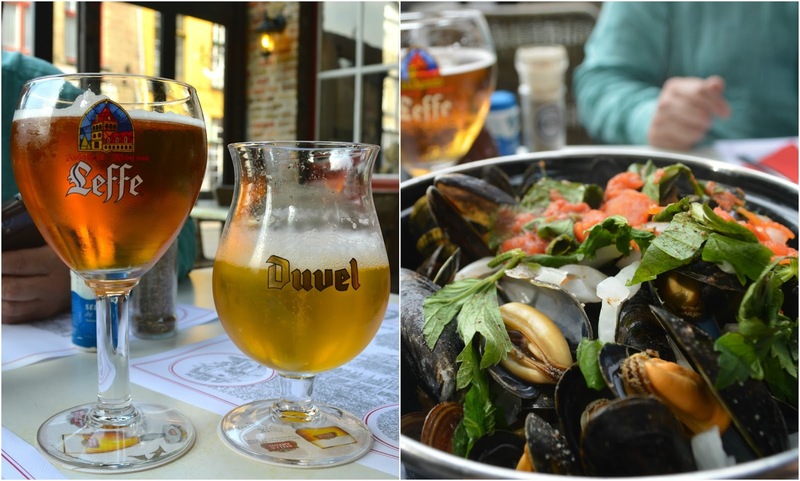 I've always been seafood fan, and the mussels in Belgium are supposed to be very good. Needless to say, I was quite impressed. This post will be the last instalment in documenting my european adventure, but I'll be sure to write about my next trip happening this winter. I'm so lucky to have been able to study and tour around some of Europe's most famous cities this summer. To see more on where else I've visited, click here.